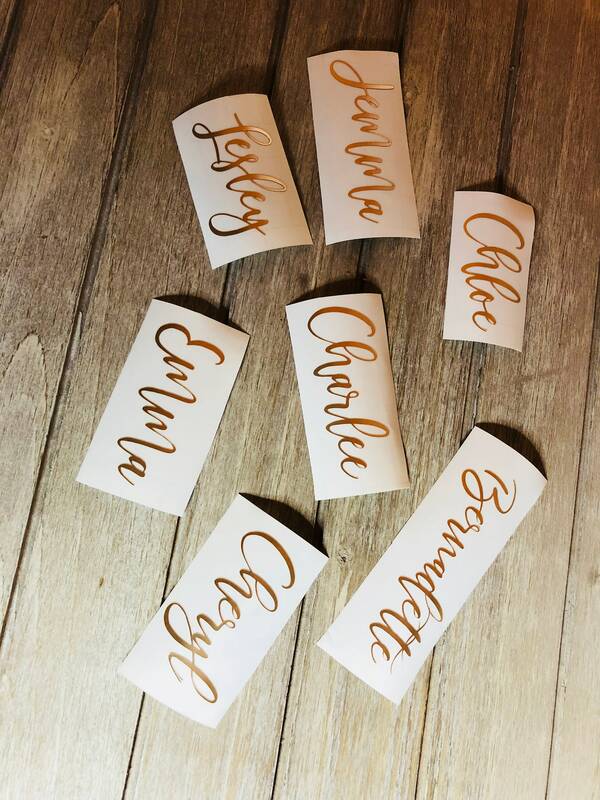 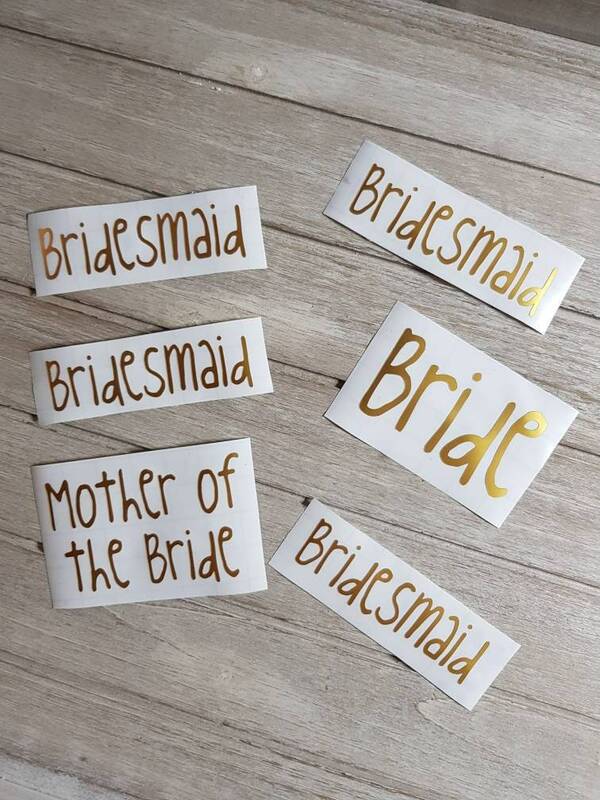 This listing is for fully customisable decals / stickers for your wedding party which can include but is not limited to the Bride, Groom, Maid of Honor, Matron of Honor, Mother of the Bride, Mother of the Groom and Flower Girl or Fully customisable to any name you would like on these. 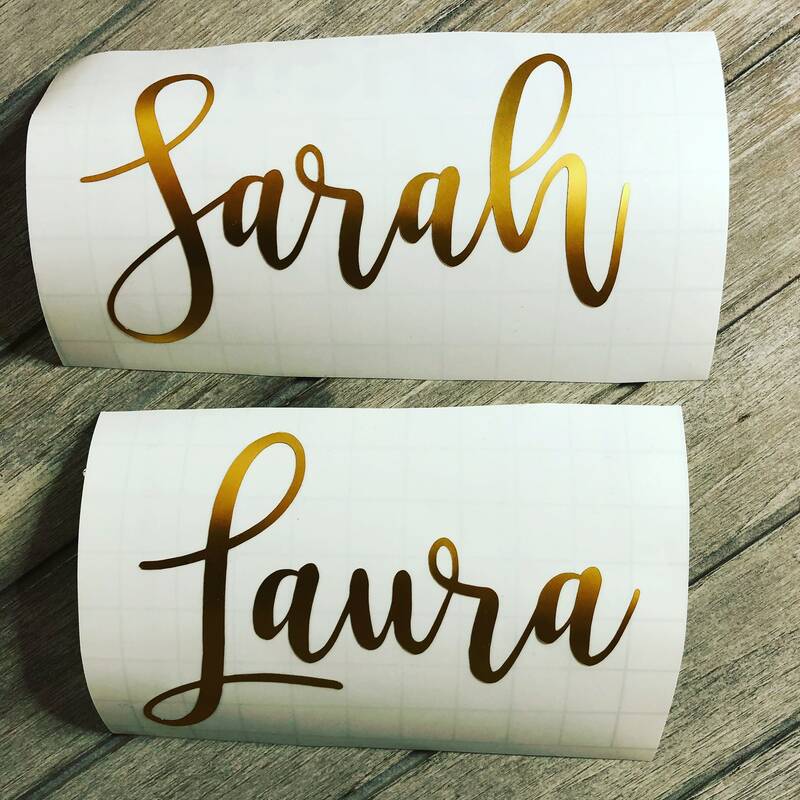 This listing is for decals that include 2 lines of text as per photo. 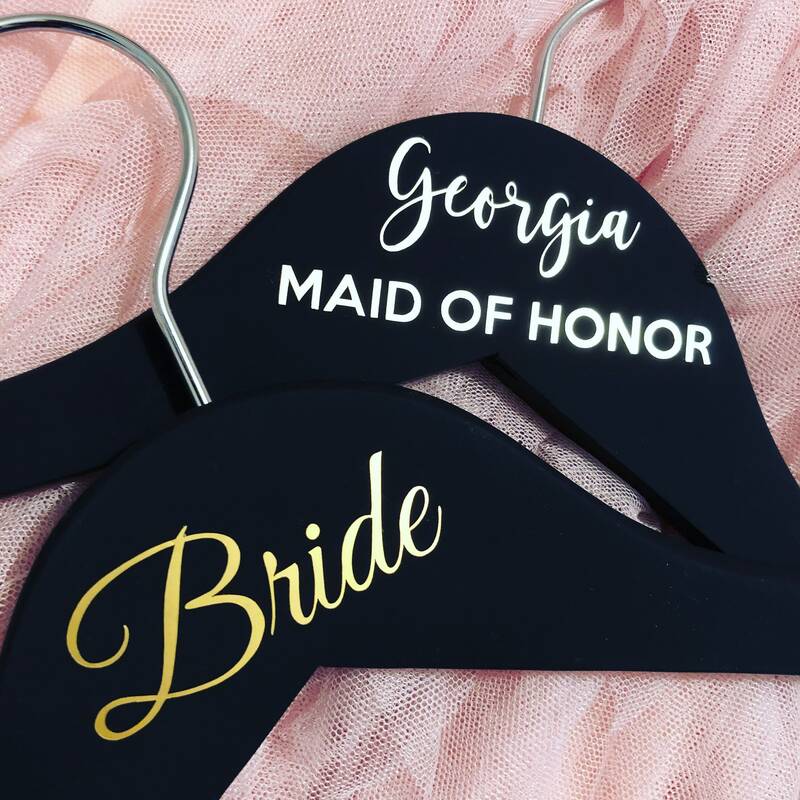 The price is for one decal only and hangers or accessories shown are not included. 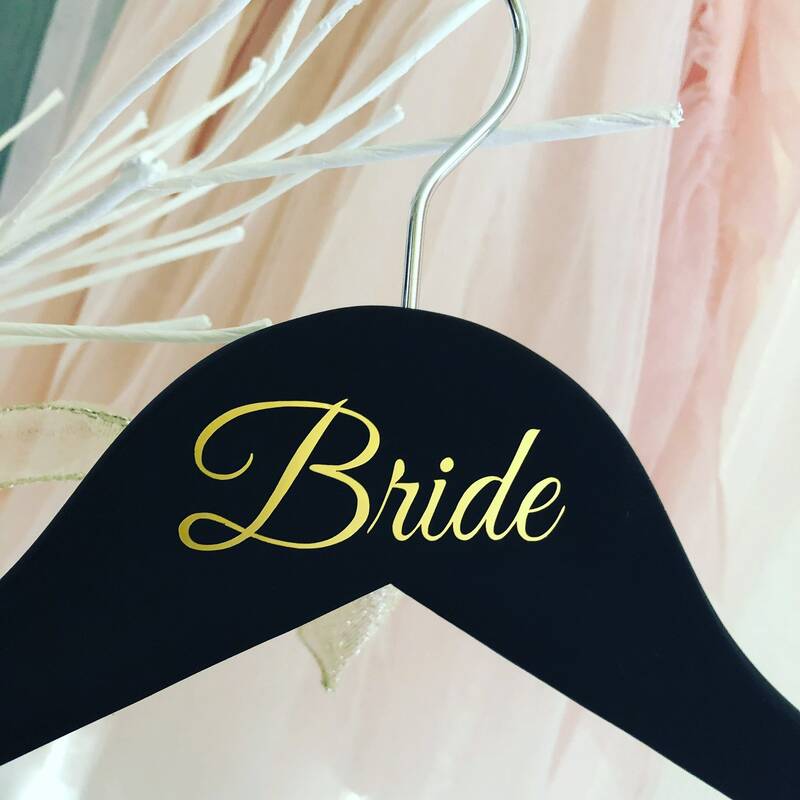 Sizing is sized to fit standard wooden clothes hangers (size is very important as we will not refund if you order the incorrect size). 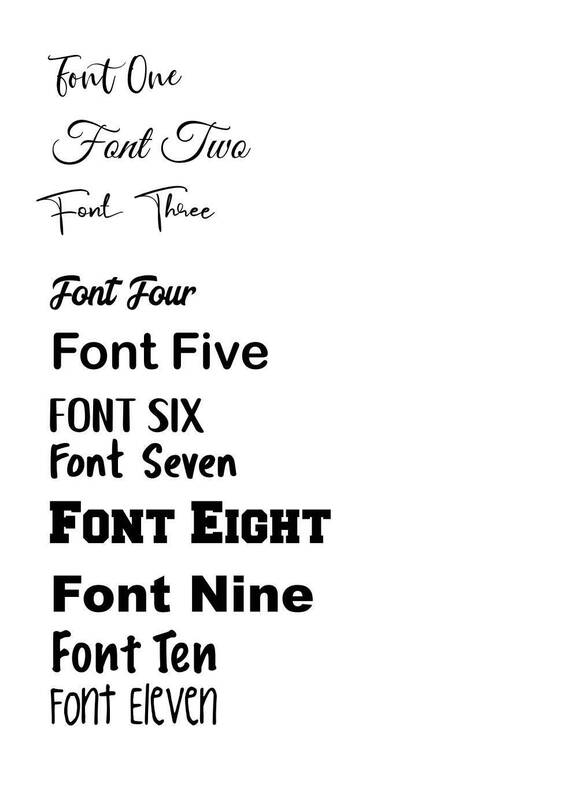 We are happy to adjust the size you require to fit your glasses.